After Obama administration expelled 35 Russian diplomats from the United States and seized the diplomaticproperty of the embassy, the United Statesare about to reach their goal: they will completely break bilateral relations, but Russia has no choice but to respond reciprocally. For Moscow, it will also be considered as a verdict to Trump's presidency. Moscow got tired of waiting and, apparently, finally got disappointed in the ability of US President Donald Trump to eliminate the damage which was caused to Russia's relations with the US by the previous US administration. Under the pretext of punishing Russia for the alleged interference in the American elections on the side of the current "owner" of the White House, 35 Russian diplomats were expelled from the United States last December and two embassy cottages were arrested. Perfectly realizing that this is a pure provocation, Moscow decided not to be provoked then, and hoped to sort out the problems with the new American administration. As a demonstrative gesture with the opposite sign, the children of American diplomats in Moscow were invited afterwards to a Christmas tree party in the Kremlin. Russia really wanted to improve relations with the US, although a stronger impression on the Americans could have given an opposite effect. Moscow knew wellthat the US understood only force, and such a gesture could be interpreted as weakness. However, the new US administration gave persistent signals: do not send our diplomats back, do not take away our embassy cottage, wait a bit, we'll settle these problems somehow. Six months have passed since then, but, unfortunately, despite the warnings from Moscow, which became insistent a few months ago, the situation has not changed so far. Russian officials gave the Americans to understand that Moscow would have to respond to the expulsion of its diplomats and the confiscation of diplomatic property reciprocally. This was stated by the press secretary of the Russian president, Dmitry Peskov, and the official representative of the Ministry of Foreign Affairs, Maria Zakharova, and others. However, the situation is the same. After the meeting between Russian Foreign Minister Sergey Lavrov and President Trump in Washington in mid-May, there was hoped that American was ready to agree with Russia and cancel the arrest of the diplomatic property, and it seemed that the White House was only waiting for the right moment to announce such a decision without losing its image. However, these hopes turned out to be illusion- anti-Tramp establishment was awaken and blocked the solution of this problem. Moreover, according to the American media, Trump administration discussed how else it could complicate the lives of Russian diplomats. At the G20 summit in Hamburg, Vladimir Putin raised this issue during the talks with Trump,and it became obvious that, according to the Russian Foreign Ministry, the US had no plan for resolving the crisis, and they were not going to do anything. As a result, it was not possible to solve this problem at the highest level in Hamburg. On the eve of the meeting with Putin, Trump received a letter from three members -The United States Senate Committee on Foreign Relations, including two Republicans who called on the president not to return the arrested property to Russia. After that, it is finally clear: Russia has no choice but to expel about 30 US diplomats and to seize American property in the country. It is already known what exactly will be seized - the embassy cottage in theSerebryanyBor and the warehouse in Moscow. "There is a preliminary agreement to hold a meeting between Russian Deputy Foreign Minister Sergei Ryabkov and US First Deputy Secretary of State Thomas Shannon in St. Petersburg, and if there is no compromise there, we will have to take such measures," Izvestia's source in the Russian Foreign Ministry said. The meeting is scheduled next week.Therefore, it is unlikely that we will be mistaken in the fact that if it fails, Russia will finally do what it had the full right to do in December last year. 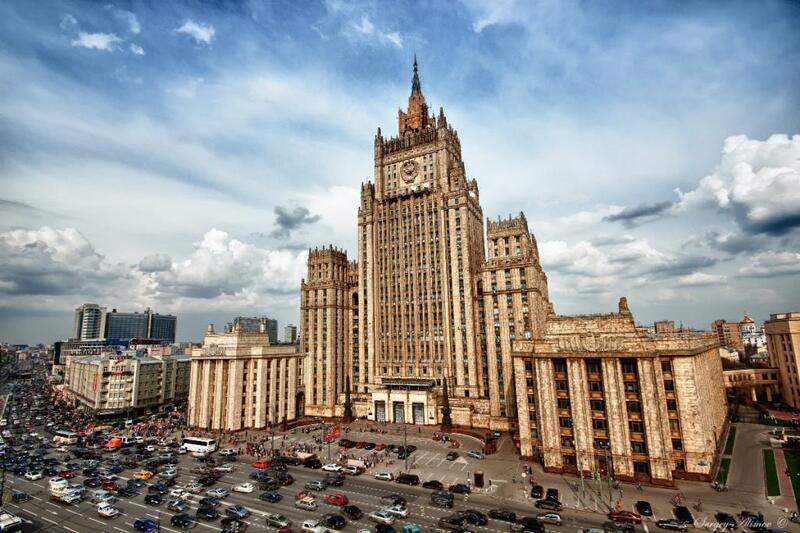 Apparently, Moscow is irritated by the fact that the issue of the illegal seizure of Russian diplomatic property by Americans is the most easily resolved problem in bilateral relations. To solve it, the Congress does not need a sanction, which limits Trump, he can solve this issue with his authority. And if he does not solve it because of being afraid of many critics and fearing new accusations of favoring Russia, it will be useless to negotiate with him on other more serious issues of bilateral relations. Meanwhile, Andrei Klimov,t he deputy chairman of the Federation Council's committee on international affairs, told theIzvestia that " Trump either could not, or did not consider it was important for half a year " to fix the current situation, and now we must "draw a line and respond reciprocally." The Senator stressed, "This is not our demonstration of a negative attitude towards Trump administration, it testifies the fact that Russia is a respected country, to which respect must be shown, according to protocol, etiquette and international norms, another way of communicating with Russia cannot be". And he's right. I would like to add only one thing. If the upcoming talks between Ryabkov and Shannon turn into a failure, it will also be a open failure of the policy "we are humiliated, and we are not humbling." Tsargrad warned for a long time that if we choose the political course in relations with the US, like with any other country, such a policy will fail: they will humiliate, humiliate again, until, finally, we do not take offense and answer. And there could have been a small scandal, but, in fact, it will be great. It seems that it is not far away. The fact that the US and the new administration are persistently seeking such a scandal shows only one thing: getting along with the US will not work, there is only a tough confrontation ahead. In order to solve it, the American establishment needs an excuse, and soon Washington will receive. The United States forgot that 35 Russian diplomats were expelled. When Russia expels the same number of American diplomats, it will be a signal for implementing new sanctions against it and hard pressure. And Moscow will be announced to be guilty of this.